We have Birthday Parties down to a science! Mad Science birthday parties entertain children of all ages with exciting, high-energy, interactive shows that come to you. Kids will be amazed by the number of cool and interactive demonstrations, chemical reactions, and activities, and have the opportunity to make long and stretchy Mad Science putty, slime, or a bouncy super ball! Parents will love the fact that Mad Science birthday parties are mess-free and hassle-free. Best of all, we provide a satisfaction guarantee! 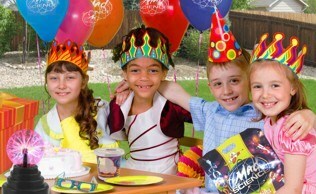 Parties are about 60 minutes and include a take-home for every child! 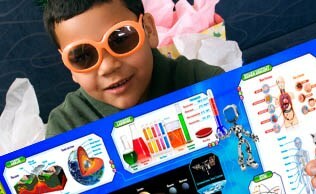 Lots of different Mad Science Party programs available! The Mad Scientist will tailor the program activities specifically for the children to be sure they have the most fun possible! See objects float through columns of air!! Learn the "secrets" behind fireworks! Watch in amazement as energy lights up a ball of plasma! Discover sand that is afraid of water! If you already know the Package, Location and Enhancers you want, click the I' m Ready link below. If you want to see more details and prices, click the Build My Party link below to continue!